Fledgling vampire Jonathan Kerr has just met his match. Not even his past life as a former Marine and FBI agent could prepare him for the battle against the monster inside him, struggling to take hold. After an old nemesis of the Senary surfaces in Brooklyn, unleashing chaos and terror in the battered borough, Jon sets out to take him down. Instead, he ends up with far more than he bargained for when he clashes with the beautiful half-vampire hybrid, Lawan Knight. After escaping near death and suffering unspeakable horror at the hands of vampires, Lawan trusts no one, regardless of species. In between bouts of drunken stupor, her only goal is to exterminate all those who've wronged her, including every member of Jon's vampire bloodline. But Jon’s soulful eyes and quick smile crawls under her skin, transforming her black and white world into a hazy shade of gray. As the days rapidly grow darker, Jon and Lawan turn to one another, but their inner demons threaten to tear them apart. The only way either of them will survive is if they overcome their greatest fear—love. Snapping into action, she sprinted as fast as her legs would carry her, taking sharp turns and cutting across debris-ridden alleyways. She leapt over dumpsters, scaled chain-link fences, and stomped over the carcasses of long dead cars. The blood gave her an extra boost as she blew past the library—bookless, thanks to her—and blazed a trail through Coffey Park, heading straight for her church. The presence faded as soon as she passed the decrepit playground. Hope swelled in her chest. Maybe she lost them. Maybe they kept going down Dwight Street instead. Her blessed church came up fast and Lawan didn’t slow down as she jumped the iron fence and burst into the side door. She skidded to a halt on the crimson carpet, practically tumbling into the main room in front of the ambry. Doubling over, she struggled to catch her breath before she sat down hard on the floor. She slipped off her bag, pulled off her mask, and flopped back, chest heaving as she stared up at the vaulted ceiling. Oscar trotted over, purring loudly and shoving his furry head into her hand. She couldn’t even speak, her breath sawing in and out of her lungs as she closed her eyes with relief. For the second time that night, Lawan let her body settle down as Oscar nuzzled her hand and licked her fingers, the same fingers she’d lapped at earlier. Her bag rested beside her and she patted it, feeling the cold blood through the nylon. The all-too-familiar timbre stabbed Lawan’s eardrums and wrapped around her throat, yanking her into a seated position. The leech who wasn’t a leech, the hybrids’ vampire stood at the archway, leaning against the jamb. He wasn’t fully geared up, wearing plain clothes and an exposed shoulder holster beneath his open bomber jacket. His obsidian eyes sparked with amusement as she swiftly pulled her nine and aimed it at his forehead. “Glad I wore my sneakers,” he added, not the least bit perturbed. Lawan gaped at him, slack-jawed and stupid. Oscar leapt between them and hissed at him, black fur raised along the length of his spine and claws digging into the carpet. A vampire had just strolled into her sanctuary, onto hallowed ground. Impossible. Unbelievable. Unreal. Oh my God. He really isn’t a leech. Blaze Knight has been through hell and back, but the nightmares aren't over yet. Five years after Blaze was maimed by Cyrus Chimola, a powerful vampire with a penchant for torture, he’s still trying to pick up the pieces of his shattered life. As a genetically engineered mercenary with the ability to bend fire to his will and to see in infrared, Blaze’s mission is to protect what’s left of humanity. 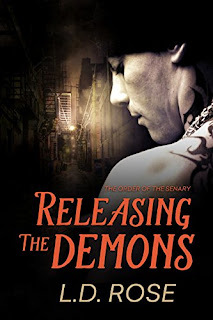 When Chimola and his crew return to the Bronx gunning for Blaze’s blood, Blaze is forced to face the demons of his past. Hell-bent on revenge, he seeks the help of Valerie Medeiros, an NYPD detective who manages to steal his heart and save his life in more ways than one. Motivated by her sister’s gruesome death, Valerie has made it her life’s goal to bury every vampire in the ground where they belong. 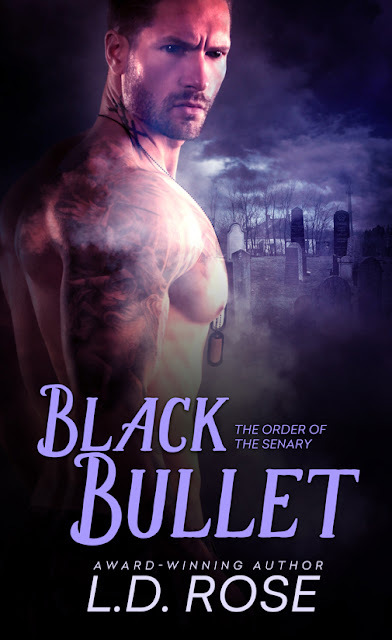 When she brings in Blaze Knight for suspected murder, she discovers he’s not only innocent, he isn't a man at all—he's a half-vampire hybrid working with a band of brothers for the U.S. military. Valerie has a hard time trusting anything with fangs, yet she quickly falls headlong into Blaze’s life, a life full of darkness and horror she can’t even begin to fathom. The bodies are stacking up, but Valerie can’t seem to let go of this hybrid, a beautiful monster filled with pain, rage, and passion unlike anything she's ever known. In a world where the line between good and evil is blurred, Blaze and Valerie will find danger at every turn, risking everything they’ve come to know and love, including one another. L.D. Rose is a neurotic physician by day, crazed writer by night, and all around wannabe superhero. She writes paranormal romance and urban fantasy, but she's been known to delve into horror, sci-fi, and medical suspense on occasion. L.D. Rose is a PAN member of the RWA, FF&P, NEC-RWA and CoLoNY. She currently lives in Rhode Island with her studly hubby, her hyperactive boxer, and her two devious cats. 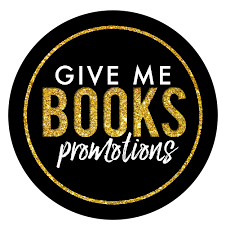 Sign up for her newsletter for the latest on the Senary, sneak peeks, giveaways, and other fun stuff. You'll receive a free horror short story with sign-up!